In the year 2022, a Virtual reality Massive Multiplayer Online Role-Playing Game (VRMMORPG) named Sword Art Online (SAO) is released. With the Nerve Gear, a VR Helmet that stimulates the user’s five senses via their brain, players can experience and control their in-game characters with their minds. Kazuto Kirigaya, or Kirito, has been waiting a long time for the release of SAO, he was lucky enough to be chosen as one of the beta testers, and now he is ready to play the real game and have a great time. He and several thousand players wait no longer to start the game. Almost ten thousand players have gathered to try the new attraction. 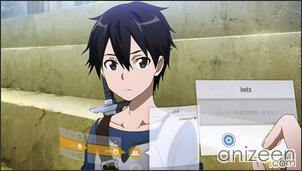 Kirito starts the game fast and finds himself teaching the basic to a new friend he met online. The day is almost over and it’s time to log out and go grab something to eat, but for some reason there seems to be no log out menu enabled in the system. Suddenly, a big bell rings and everyone is teleported to the center of the initial town. 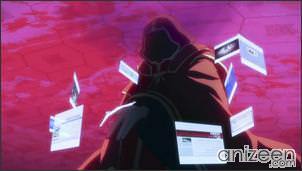 After that, an error message is shown in the sky and a huge character appears. It is Akihiko Kayaba, the creator of SAO, who has come to warn the players from logging out or trying to remove the Nerve Gear, if they do, they can die for real. Akihiko issues them a challenge; if they wish to be free and log out of the game, they must reach the 100th floor of the game’s tower and defeat the final boss. However, if their avatars die in the game, so will their bodies in the real world. Finally, Akihito tells everybody that he has given them a gift. He tells the players to check their player’s storage. Inside there is a mirror, and once the players look straight at it, something occurs and the video game characters transform and take the real player looks. Now, Kirito is determined to reach the 100th floor and be free. 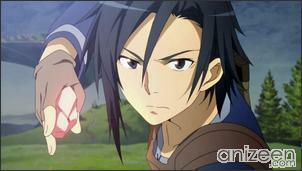 On his road, he will meet Asuna and make some friends who will try to clear the game. 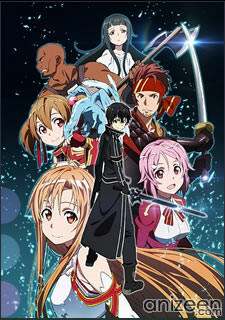 Kirito, or Kazuto Kirigaya, is a “solo” player as well as a beater (or beta tester and cheater), a player who hasn’t joined a guild and usually works alone. 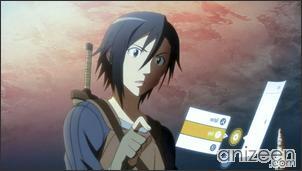 Kirito is also one of the clearers in SAO. 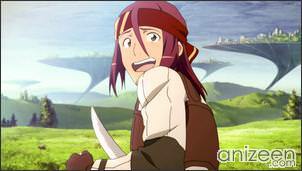 When it is announced that the players of Sword Art Online can no longer logout, he is surprised like everyone else, but unlike everyone else he quickly gets over it and accepts it, to an extent. He mainly uses a one-handed sword “Elucidator” and usually wears all black in-game, as it adds to stealth, and gives him his nickname “The Black Swordsman”. He can also use two blades at once, a unique skill to him and he only uses it in emergencies to avoid attention for being one out of the two people to have unique skills. Asuna is a friend of Kirito and is a sub-leader of the guild Knights of Blood (KoB), a medium-sized guild of about thirty players, also called the strongest guild in Aincrad. Being one of the few girls that play SAO, and even more so that she’s extremely pretty, she receives many invitations and proposals. 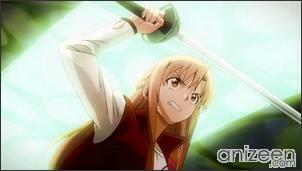 She is a skilled player earning the Title “Flash” for her extraordinary sword skill. 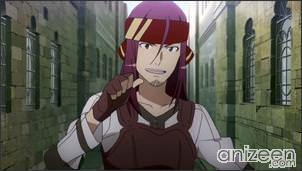 The KoB has assigned her two bodyguards, one of whom despises Kirito. 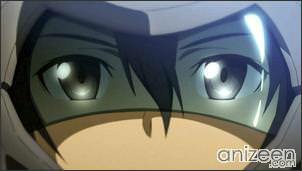 Lyfa is Kirito’s younger cousin in the real world. She’s a diligent worker and has been practicing Kendo for 8 years. 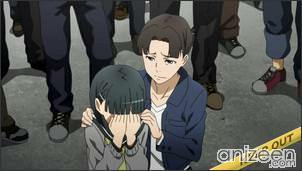 Kirito calls her “Sugu”. 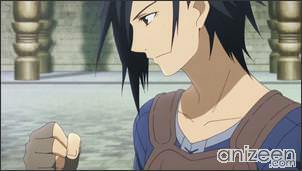 She has feelings for Kirito but understands that his feelings for Asuna are too strong. 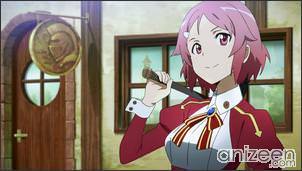 Coincidentally, she meets Kirito in ALfheim and aids him in searching for Asuna unaware that Kirito is Kazuto. Sword Art Online (ソードアート・オンライン) is a Japanese light novel series by Reki Kawahara, with illustrations by Abec. 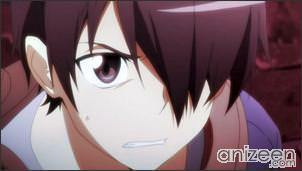 It has been adapted into three manga, an anime and a video game.